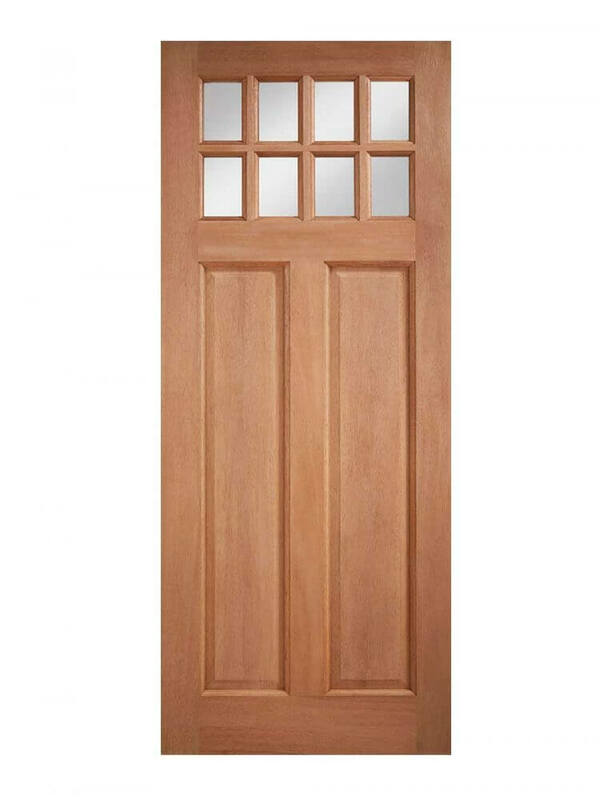 Hardwood Glazed 8-light 2-panel External Door. Clear glass double glazed lights. Hardwood Chigwell Clear Glazed.This Chigwell design features eight small, clear double glazed panels set above two large, solid panels. This creates a unique feature for the exterior of your home.Clear Double Glazed.